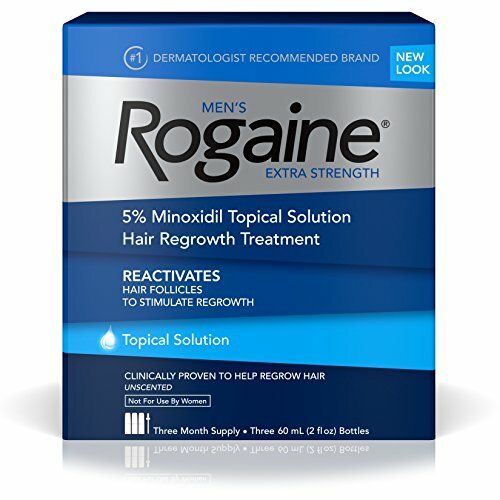 ROGAINE Extra Strength Topical Solution is clinically proven to regrow hair in men with hereditary hair loss and help reverse its progression. 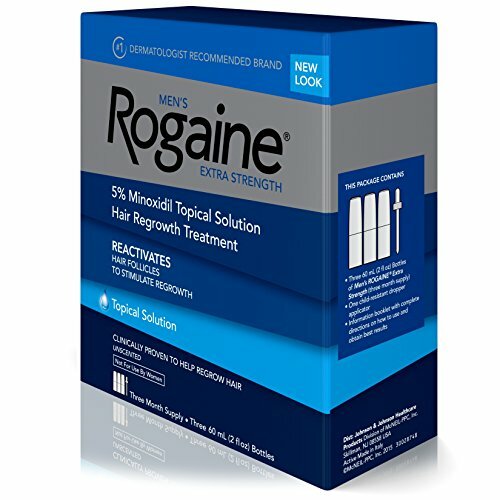 It contains the FDA-approved topical ingredient minoxidil and works to enlarge shrunken follicles (increasing their size). 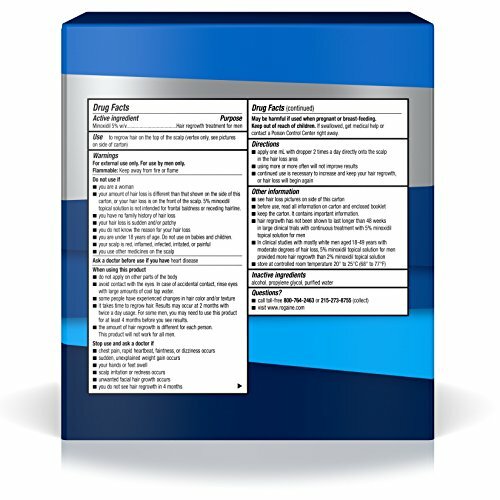 This allows for normal healthy hair to develop over time. 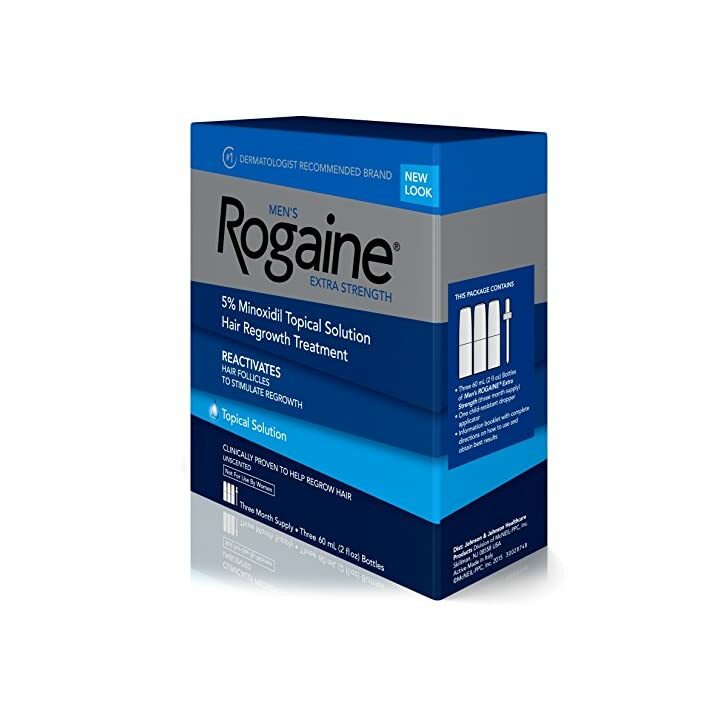 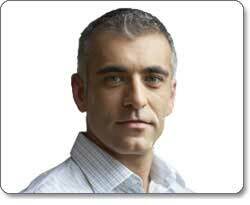 ROGAINE is the #1 dermatologist-recommended brand for hair regrowth. 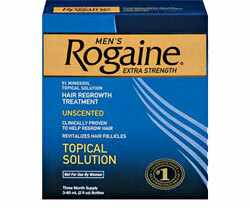 Men’s ROGAINE Extra Strength Topical Solution is clinically proven to regrow hair in men. 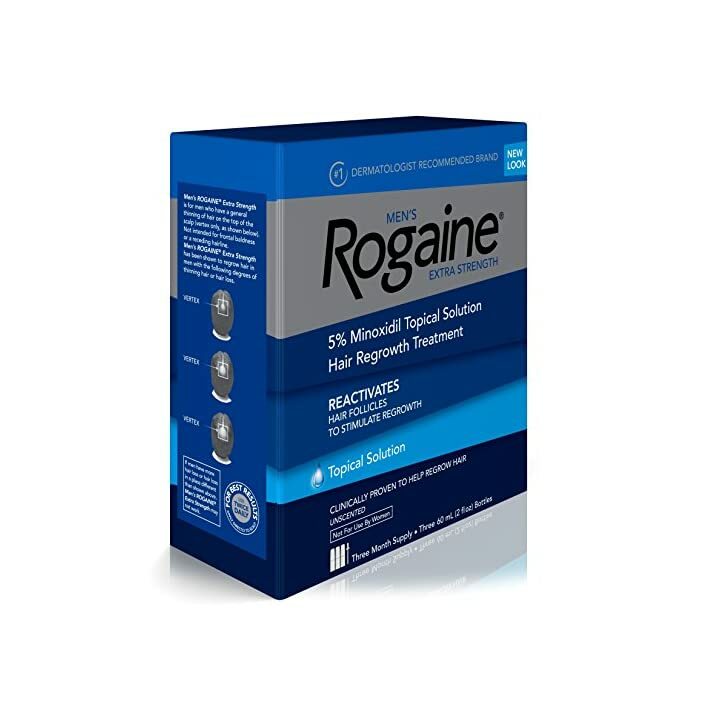 To get the most out of ROGAINE Extra Strength Solution, it’s important to apply it directly to your scalp–twice a day, every day. 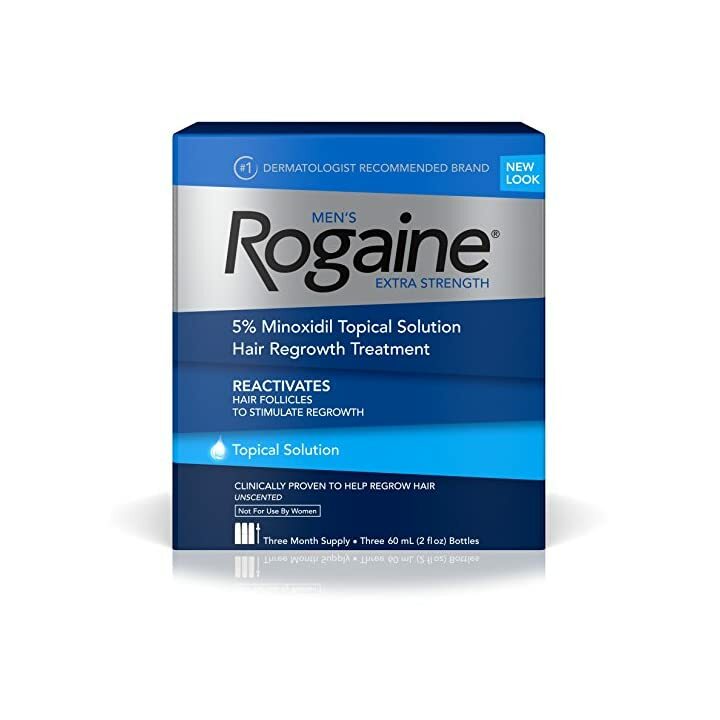 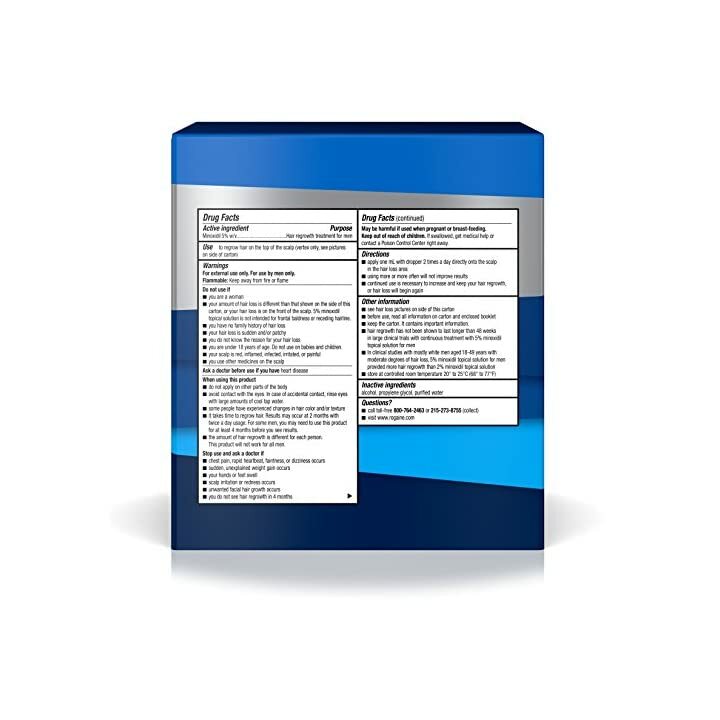 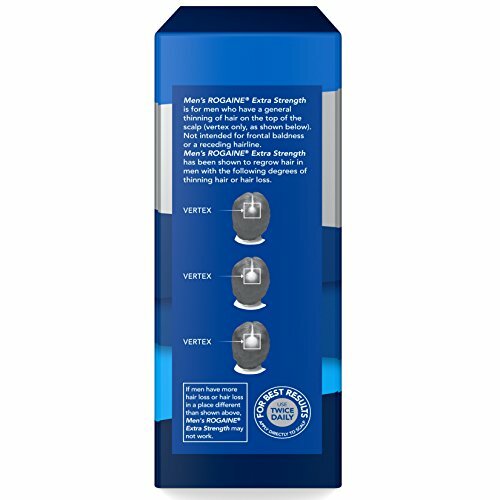 Men’s ROGAINE Extra Strength Unscented Topical Solution (2-Ounce Bottles, Pack of 3). 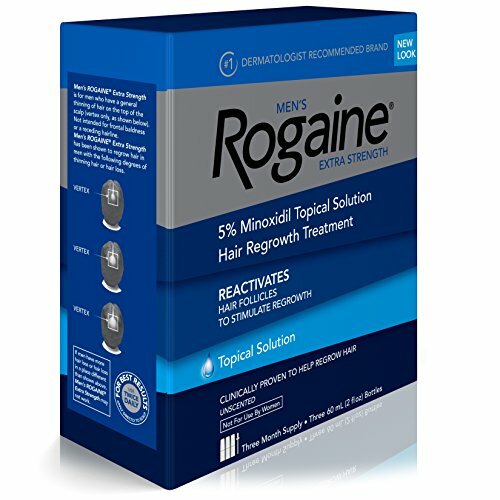 ROGAINE Extra Strength Topical Solution is clinically proven to regrow hair in men with hereditary hair loss and help reverse its progression. 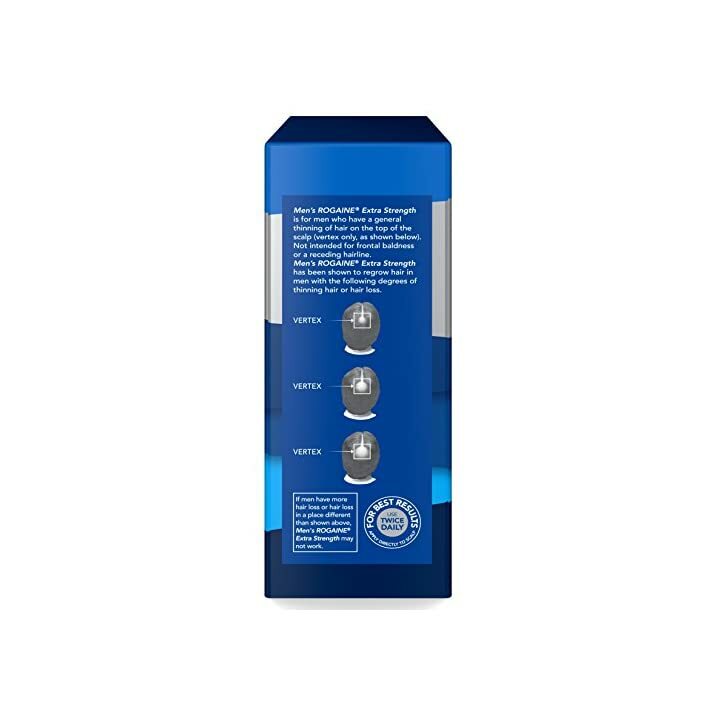 Use the included dropper to apply minoxidil formula to scalp areas with thinning hair.